The Edmonton Convention Centre (SCC) is pleased to announce that Jan Szabat, the convention centre’s Director of Engineering Services has been recognized by Venues Today Magazine, Venue Solutions Group and the Venue Operations Summit Board of Advisors for excellence in venue management. The award recognizes one engineer working in a venue in North America who has gone above and beyond in solving problems, instituting new programs and maintaining their facility. For the past 30 years, Jan has overseen all maintenance for Edmonton’s iconic, 34-year old convention centre. From flood restoration to multi-million dollar escalator modernization and managing the team that keeps the building running, Jan has ensured the Edmonton Convention Centre continues to be a destination for the meetings, conventions and events industry. Jan has played an instrumental role in fulfilling the convention centre’s brand promise of sustainability. Under his leadership the Edmonton Convention Centre has become BOMA BEST certified, the first conference venue in Canada to receive Green Key level 5 certification, and one of five venues in Canada to receive the prestigious ASTM International sustainability certification. 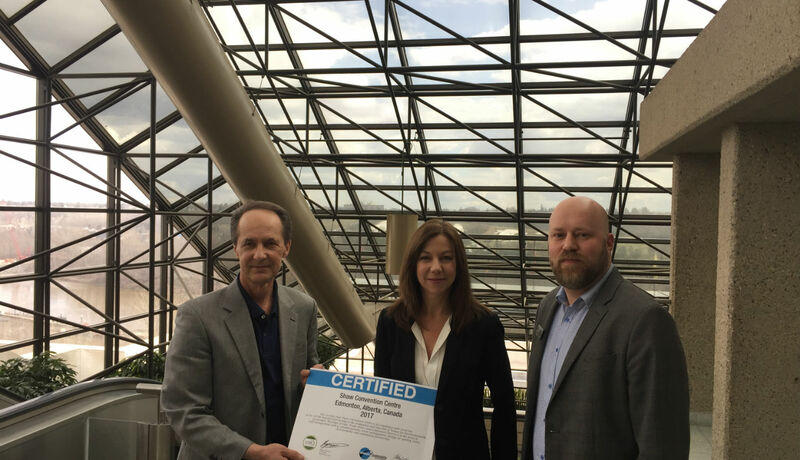 From sustainable infrastructure and permaculture to a comprehensive waste management program and an urban beehive, the Edmonton Convention Centre is leading the way when it comes to sustainability within the global venue management industry. Managed by Edmonton Economic Development Corporation, the Edmonton Convention Centre is an iconic venue featuring North America’s largest back yard. From hosting 75,000 guests for Red Bull Crashed Ice to the world’s top conventions, there’s nothing that can’t happen at Edmonton’s premier convention centre. As a preferred meetings, conventions and events destination, our team of event experts is ready to work with you. Contact us today.